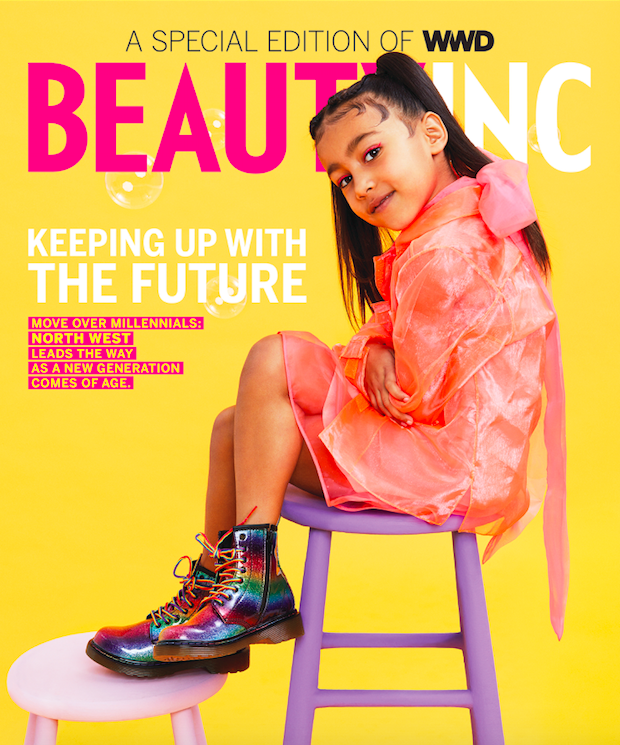 The five-year-old daughter of Kim Kardashian and Kanye West modeled for her first solo magazine cover in the Women Wear Daily‘s annual Beauty Inc. issue. The eldest West child illustrates a story about the next generation of beauty influencers: The toddlers. 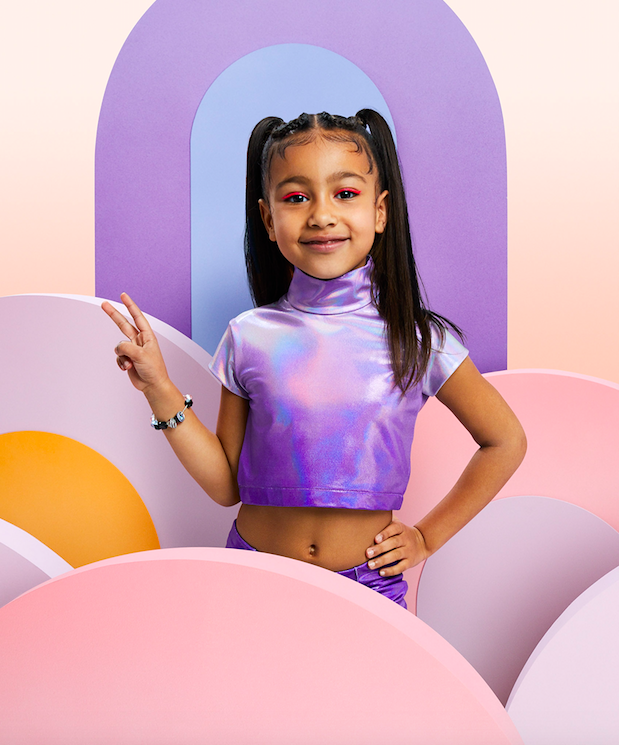 In the WWD photo shoot, West wears an electric pink eye look by Kardashian go-to makeup artist Mary Phillips (who did a similar look on Kendall Jenner earlier this month). West’s curly hair is pulled into sleek pigtails by her mom’s hairstylist Chris Appleton. 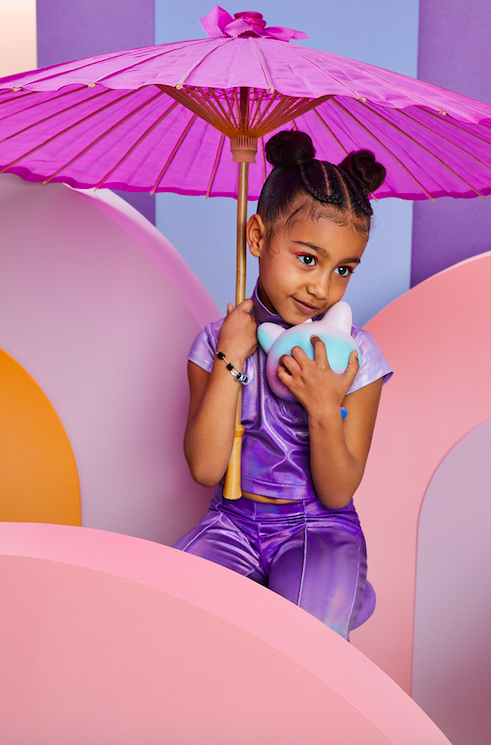 Kardashian West has previously said that she allows her daughter to experiment with makeup, but doesn’t want her wearing lashes or dark lipstick just yet. The little star looks absolutely adorable in the solo magazine shoot!